Every subject contains information necessary to become a knowledgeable and functional member of our society. As we become more technologically dependent, technical reasoning is needed for survival. Math, sciences, and ICT (Information Computer Technology) are no longer just subjects. Now they have rightfully become a staple in our education system. Ever since there were humans in existence, there have been problems to solve. Learning math helps us to solve the problems. Simply put, math is about solving problems. When we look around us, all the stuff that is in the universe is science. 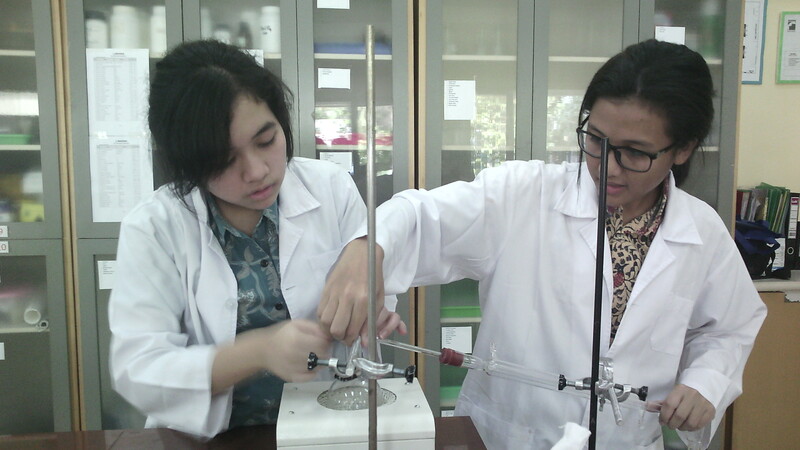 By learning science, it helps us to satisfy our natural curiosity and lead to technological advances. To provide all the needs mentioned above, Madania Secondary School employs the National Curriculum (Kurikulum 2013) integrated with the Cambridge Curriculum. This integration is hoped to take our students surpass the national educational standards. 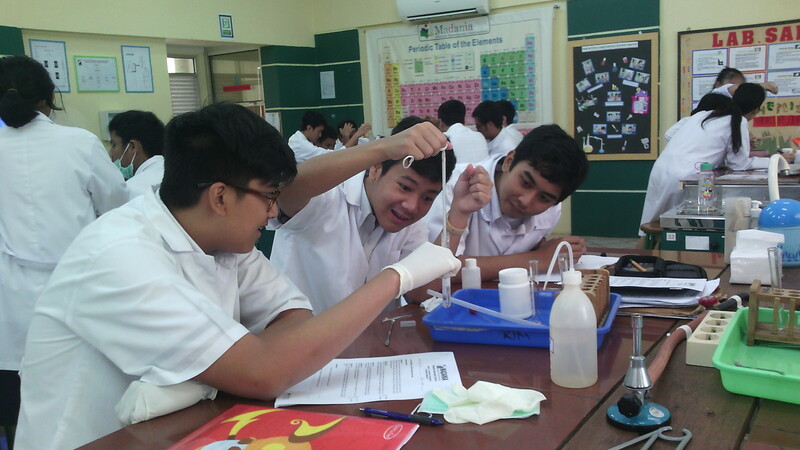 The science program consists of biology and physics (lower secondary) and added with chemistry (higher secondary). 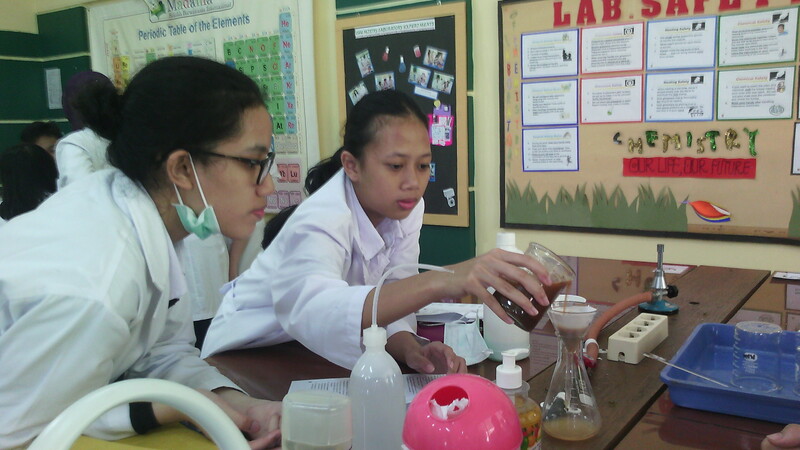 The students will learn through investigations, discoveries and experiences. It is hoped that they will gain an understanding of the principles of science through a mix of theoretical and practical studies. Mathematics as an essential subject for all students emphasizes not only on solving problems and presenting and interpreting results but also on implementing the real-life practice and the importance of mathematics. The students will learn how to investigate and analyze patterns, while developing critical thinking skills and a systematic and orderly focus. ICT subject combines theoretical and practical studies focusing on the ability to use common software applications to solve problems, including word processors, spreadsheets, databases, interactive presentation software, web browsers, and website design. It is hoped that students will have the understanding of the implications technology puts into society and develop their ethical uses and awareness of the ways ICT can help at home, learning and work environments.